The shoulder joint is a complex structure that allows wide range of arm motion and power when it is functioning properly. 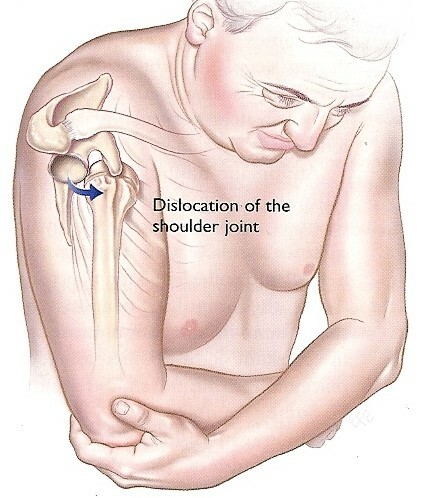 Due to its unique structure the stresses often placed on it may injure the muscles and tendons of the shoulder joint. 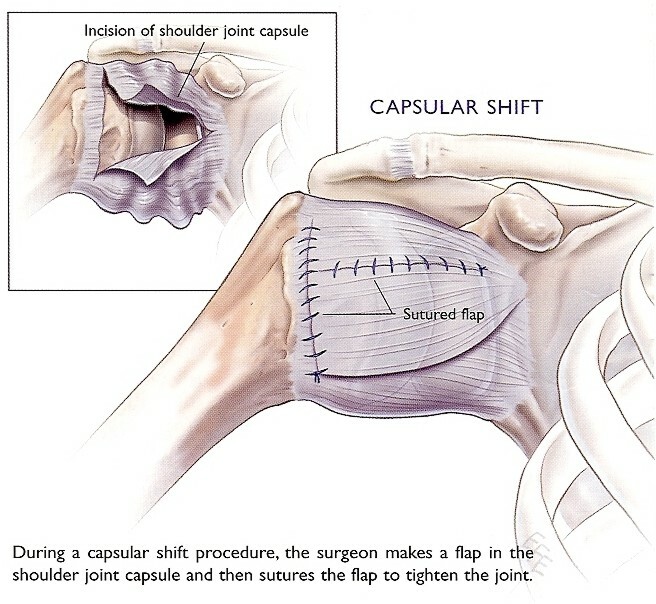 One of the most common injuries is recurrent shoulder dislocation and injury to the rotator cuff tendons. If trauma has caused dislocation and injury to the major supporting structures of the shoulder joint, it may become chronically “loose” or unstable. The instability is caused mostly by a detachment of the ligaments that run between the glenoid (shoulder socket) and upper arm (humerus). 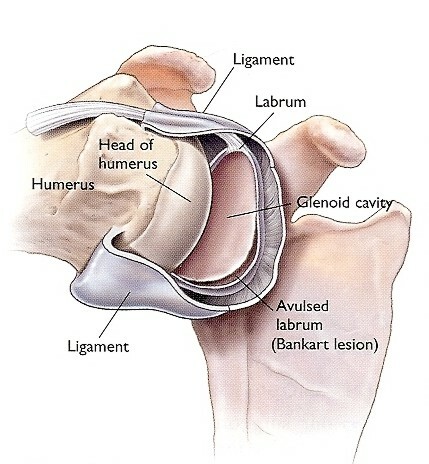 This detachment most commonly occurs at the labrum-bone interface. In an unstable shoulder joint, the humerus develops a tendency to slip out of its socket, either partially (subluxation) or completely (dislocation). Dislocation, recurrent subluxation and persistent looseness can damage the head of the humerus, and other parts of the joint. Acute traumatic dislocation has occurred in a patient younger than 25 years of age. 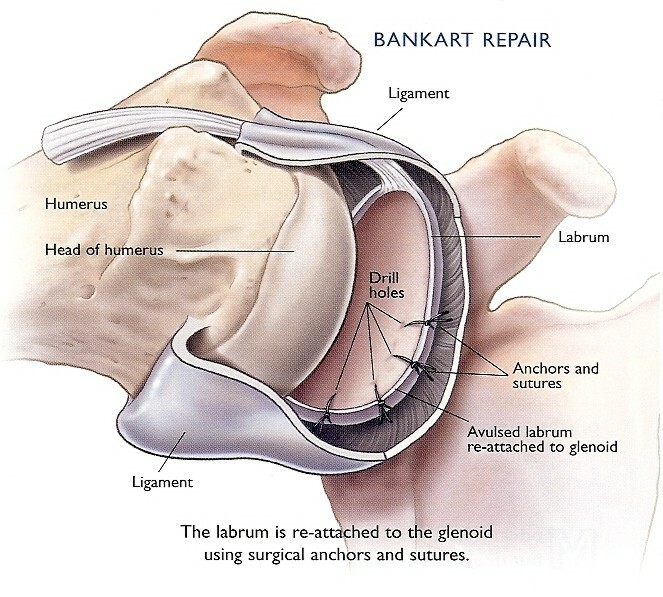 The procedure to repair the labrum (Bankart repair) and tendons may be done either with an open procedure or with the help of an arthroscope (key hole surgery) depending on the degree of damage in the joint.